Henry as in Knowles, Edie as in the Salsa Freak, Eddie as in Torres and Ismael, as in Otero. have made him a well-loved figure in the salsa community. creating dance magic in every performance. that day:  to eat a sandwich. More on the long-term goals later). SOS:  When did you start dancing? How did you get started? Ismael: I started dancing in 1994. Basically, my mother tried to make me. She sent me to a friend (Luis Delgado) and made me take classes with him. I didn?t want to go. I didn't want to be taught by anyone else. A friend wanted to go take classes, so I went with her. I got hooked and here I am. SOS: Why do you love salsa? Ismael: I love the way it makes me feel, the culture, the physical part. I enjoy meeting so many people. The roots and culture aspect was what drew me in initially - I learned more about my heritage through dancing. Ismael: Other people made me - they kept nagging me until I gave in. I was an assistant instructor with Luis for about a year, and everyone liked the way I taught, so they wanted me to start my own class. I finally decided to try teaching because I wanted to create my own style. I was horrible at first, but I started paying attention to other instructors. I spent a lot of time watching other dancers and instructors, and from that, I developed my own program. Ismael: My focus lies in the fundamentals. It's more about understanding - if I can make people understand the basics, their own natural style will come out. I also try to give to give my students confidence. SOS: What do you hope to accomplish with your students in your classes? Ismael: I want them to learn originality and to always remember to enjoy dancing. Everyone started dancing because they wanted to have fun. Being pressured defeats the purpose. SOS: Does your teaching style differ in a group setting as opposed to privates? If so, how? Ismael: No, not really. It's the same formula, just practicing the fundamentals. SOS: What advice would you offer to a student who is interested in performing? Ismael: Have the confidence and learn the basics very well. Work on your style and be original. SOS: What motivated you to start Caribbean Soul? Ismael: I was always good at choreography, so I picked a song and composed a dance to it. I got a group of dancers together to perform it - we did very well, and after that I kept going. It came natural to me. When I began performing, people liked my choreography because it was different. People paid attention to what I was at what I was doing, not necessarily how I did it. Even if the routine was sloppy or not rehearsed a lot, the audience still enjoyed it. That made me want to keep performing. SOS: Which do you enjoy more, teaching or performing, and why? Ismael: I used to enjoy teaching more, but now I would say performing. Performing is fun and I like to see people's reaction when they see my choreography. SOS: How do you create the choreography for a performance? What do you use for inspiration? Ismael: The main thing is to find the right song. The rest falls into place after the song is picked because everything we do matches the song note for note. I just try to be different. SOS: How do you prepare for a performance? Ismael: I don't - we just go and do it (laughs). We hardly practice. We get kind of lazy every now and then. Sometimes we'll do a walkthrough the day of the performance, and sometimes we just do it. People may not know when they see a piece of choreography that we may have just finished learning it or that some of my dancers are beginners. SOS: What song(s) inspires you, both in performing as well as social dancing? Ismael: I'm more inspired by the music when I'm social dancing, because I always make up moves and I don't have to think. I like old school salsa as well as the new school music. One of my favorite songs to social dance to is Timbalero by El Gran Combo. I also like George LaMond. SOS: What would you like to be doing in 5 years? Ismael: I would like to do a Broadway play. That's something I've always wanted to do. 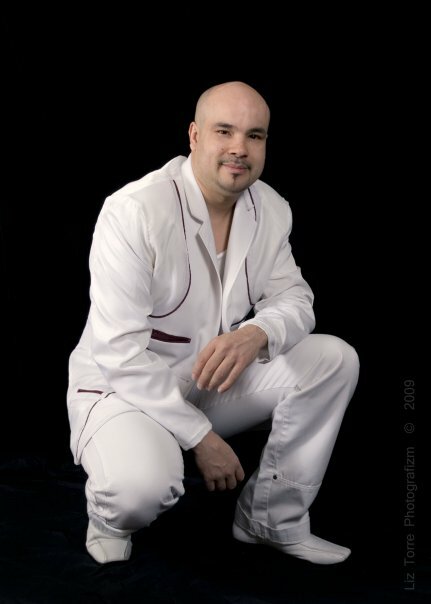 I would like to produce music - both salsa and other forms of music. I also like Hip-hop, R&B, and Motown. SOS: Ismael, thank you for taking the time to talk to StuckOnSalsa.